Sebastian's keepin' it simple...for now. It's just way to muddy here to dress 10 dogs and send them out to play. I have enough laundry with just their blankets. 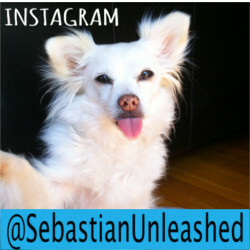 Looking good, Sebastian! You are one dapper dogger!